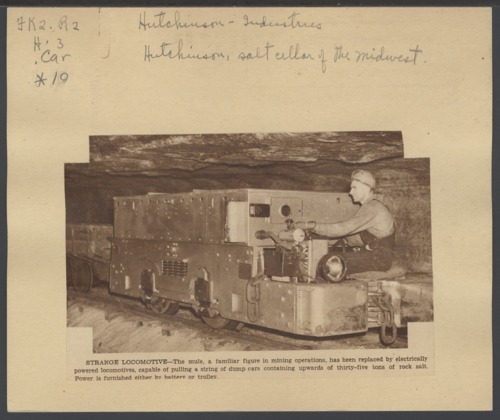 Clippings of photographs taken from inside the mine owned by the Carey Salt Company in Hutchinson, Kansas. Subjects of the photographs include a locomotive, hydraulic press, caverns, an undercutter, loaders, and the plant superintendent, S.B. Hurrell.